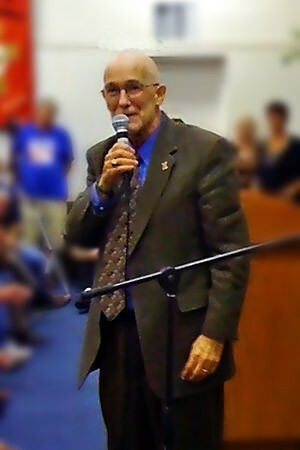 Ray McGovern works with Tell the Word, the publishing arm of the ecumenical Church of the Saviour in inner-city Washington. He led the CIA's Soviet Foreign Policy Branch and briefed the President's Daily Brief one-on-one during President Ronald Reagan's first term. I realized this McGovern article was so near the same conclusions I had come to, it was common sense to present it to you as an important description of the dangerous nuclear confrontation brewing between the US and Russia, with the extreme ramifications that could destroy life in the entire planet. The NATO side-effect I find very amusing and entirely plausible. It's important to note, all of the countries NATO was confronting during the Cold War, except Russia, are today part of NATO. So who are they defending from? NATO gobbled up its enemy but still insists to keep on growing. Even president Santos of Colombia requested to join the gang but fortunately was rejected. By dunning NATO nations to chip more money into the military alliance, President Trump may inadvertently cause some Europeans to rethink the over-the-top anti-Russian propaganda. At that point it will become possible to see through the West's alarmist propaganda. It will also become more difficult to stoke artificial fears that Russia, for reasons known only to NATO war planners and neoconservative pundits, will attack NATO. As long as Russian hardliners do not push President Vladimir Putin aside, Moscow will continue to reject its assigned role as bete noire. Actually, NATO has doubled in size, despite a U.S. quid-pro-quo promise in early 1990 to Russian leader Mikhail Gorbachev in early 1990 not to expand NATO "one inch" to the east of Germany. The quid required of Russia was acquiescence to a reunited Germany within NATO and withdrawal of the 300,000-plus Russian troops stationed in East Germany. The U.S. reneged on its quo side of the bargain as the NATO alliance added country after country east of Germany with eyes on even more -- while Russia was not strong enough to stop NATO expansion until February 2014 when, as it turned out, NATO's eyes finally proved too big for its stomach. A U.S.-led coup d'etat overthrew elected President Viktor Yanukovych and installed new, handpicked leaders in Kiev who favored NATO membership. That crossed Russia's red line; it was determined -- and at that point able -- to react strongly, and it did. These are the flat-facts, contrasting with the mainstream U.S. media's propaganda about "Russian aggression." Sadly, readers of the New York Times know little to nothing of this recent history. The existential threat to NATO comprises a different kind of Russian "threat," which owes much to the adroitness and sang-froid of Russian President Vladimir Putin, who flat-out refuses to play his assigned role of a proper enemy -- despite the Western media campaign to paint him the devil incarnate. 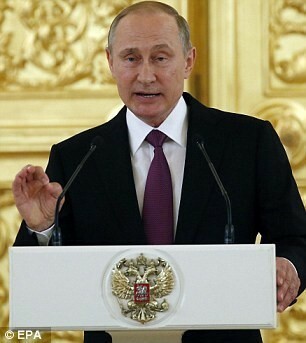 Russian President Vladimir Putin, following his address to the DUMA General Assembly on Sept. 20, 2015. Over time, even the most sophisticated propaganda wears thin, and more and more Europeans will realize that NATO, in its present form, is an unnecessary, vestigial organ already a quarter-century beyond its expiration date -- and that it can flare up painfully, like a diseased appendix. At a time when citizens of many NATO countries are finding it harder and harder to make ends meet, they will be reluctant to sink still more money into rehab for a vestigial organ. That there are better uses for the money is already clear, and President Trump's badgering of NATO countries to contribute ever more for defense may well backfire. Some are already asking, "Defense against what?" Under the painful austerity that has been squeezing the Continent since the Wall Street crash nearly a decade ago, a critical mass of European citizens is likely to be able to distinguish reality from propaganda -- and perhaps much sooner than anyone anticipates. This might eventually empower the 99 percent, who don't stand to benefit from increased military spending to fight a phantom threat, to insist that NATO leaders stop funding a Cold War bureaucracy that has long since outlived its usefulness. A military alliance normally dissolves when its raison d'etre -- the military threat it was created to confront -- dissolves. The Soviet Union dissolved in 1991 -- more than a quarter century ago -- and with it the Warsaw Pact that was established as the military counter to NATO. NATO's first Secretary General, Lord Ismay, who had been Winston Churchill's chief military assistant during World War II, stated that NATO's purpose was "to keep the Russians out, the Americans in, and the Germans down." But a lot can change over the course of almost seven decades. The Russians relinquished their East European empire after the fall of the Berlin Wall in 1989, and withdrew their armed forces. There no longer needed to be a concerted priority effort to "keep the Russians out," preoccupied as they were with fixing the economic and social mess they inherited when the USSR fell. As for "keeping the Germans down," it is not difficult to understand why the Russians, having lost 25 to 27 million in WWII, were a bit chary at the prospect of a reunited Germany. Moscow's concern was allayed somewhat by putting this new Germany under NATO command, since this sharply lessened the chance the Germans would try to acquire nuclear weapons of their own. But NATO became the "defensive" blob that kept growing and growing, partly because that is what bureaucracies do (unless prevented) and partly because it became a way for U.S. presidents to show their "toughness." By early 2008, NATO had already added ten new members -- all of them many "inches" to the east of Germany: the Czech Republic, Hungary, Poland, Bulgaria, Estonia, Latvia, Lithuania, Romania, Slovakia and Slovenia. A leading advocate from the Russo-phobic crowd was the late Zbigniew Brzezinski, who had been President Jimmy Carter's national security adviser and remained in the forefront of those pressing for NATO expansion -- to include Ukraine. In 1998, he wrote, "Without Ukraine, Russia ceases to be a Eurasian empire." The relentless expansion of NATO greatly bothered former Sen. Bill Bradley, a longtime expert on Russia and a sober-minded policy analyst. On Jan. 23, 2008, in a talk before the Carnegie Council for Ethics in International Affairs, he sounded an almost disconsolate note, describing NATO expansion a "terribly sad thing" " a "blunder of monumental proportions. " "We had won the Cold War " and we kicked them [the Russians] when they were down; we expanded NATO. In the best of circumstances it was bureaucratic inertia in NATO -- people had to have a job. In the worst of circumstances it was certain " irredentist East European types, who believe Russia will forever be the enemy and therefore we have to protect against the time when they might once again be aggressive, thereby creating a self-fulfilling prophesy." As tensions with Russia heightened late last decade, Sen. Bradley added, "Right now we are confronted with something that could have easily been avoided." A week after Bradley's lament, Russian Foreign Minister Sergey Lavrov called in U.S. Ambassador William Burns to read him the riot act. The subject line of Burns's CONFIDENTIAL cable #182 of Feb. 1, 2008, in which he reported Lavrov's remarks to Washington shows that Burns played it straight, choosing not to mince his own or Lavrov's words: "Nyet means nyet: Russia's NATO enlargement redlines." "Following a muted first reaction to Ukraine's intent to seek a NATO Membership Action Plan at the Bucharest summit, Foreign Minister Lavrov and other senior officials have reiterated strong opposition, stressing that Russia would view further eastward expansion as a potential military threat. NATO enlargement, particularly to Ukraine, remains an emotional and neuralgic issue for Russia, but strategic policy considerations also underlie strong opposition to NATO membership for Ukraine and Georgia. "In Ukraine, these include fears that the issue could potentially split the country in two, leading to violence or even, some claim, civil war, which would force Russia to decide whether to intervene. Additionally, the government of Russia and experts continue to claim that Ukrainian NATO membership would have a major impact on Russia's defense industry, Russian-Ukrainian family connections, and bilateral relations generally." So, it is not as though then-Secretary of State Condoleezza Rice and other U.S. policymakers were not warned, in very specific terms, of Russia's redline on Ukrainian membership in NATO. Nevertheless, on April 3, 2008, the final declaration from at a NATO summit in Bucharest asserted: "NATO welcomes Ukraine's and Georgia's Euro-Atlantic aspirations for membership in NATO. We agreed today that these countries will become members of NATO." Six years later, on Feb. 22, 2014, the U.S.-pushed putsch in Ukraine, which George Friedman, then President of the think-tank STRATFOR, labeled "the most blatant coup in history," put in power a fiercely anti-Russian regime eager to join the Western alliance. Russia's reaction was predictable -- actually, pretty much predicted by the Russians themselves. But for Western media and "statesmen," the Ukrainian story begins on Feb. 23, 2014, when Putin and his advisers decided to move quickly to thwart NATO's designs on Ukraine and take back Crimea where Russia's only warm-water naval base has been located since the days of Catherine the Great. U.S. officials (and The New York Times) have made it a practice to white-out the coup d'etat in Kiev and to begin recent European history with Russia's immediate reaction, thus the relentless presentation of these events as simply "Russian aggression," as if Russia instigated the crisis, not the U.S.
"Beginning in 2014 " we're moving into a new period in NATO's long history. " So the first thing that happened in 2014 that marks this change is a newly aggressive, newly assertive Russia under Vladimir Putin. So in late February, early March of 2014, the seizing, the occupying of Crimea followed quickly by the illegal political annexation of Crimea. " Well, any notion of strategic partnership came to an abrupt halt in the first months of 2014." And so, for the nonce, Western propaganda captured the narrative. How long this distortion of history will continue is the question. The evolution of Europe as a whole (including Russia) over the past half-century, together with the profound changes that this evolution has brought, suggest that those of the European Establishment eager to inject life into the vestigial organ called NATO -- whether for lucrative profits from arms sales or cushy spots in NATO's far-flung bureaucracy -- are living on borrowed time. President Trump can keep them off balance by creating uncertainty with respect to how Washington regards its nominal NATO obligation to risk war with Russia should some loose cannon in, say, Estonia, start a shooting match with the Russians. On balance, the uncertainty that Trump has injected may be a good thing. Similarly, to the degree that his pressure for increased defense spending belatedly leads to an objective estimate of the "threat" from Russia, that may be a good thing too. It seems Donald Trump is using the US presidency as an opportunity TV Reality Show to further his business interests and all of his family's, including his wife's and daughter's lines of clothing who have shamelessly promoted them during their public political presentations. What they don't mention is the clothes are made in China paying sweat-shop wages while Donald threatens retaliation against China's business practices and offers to "bring back jobs" to USA. 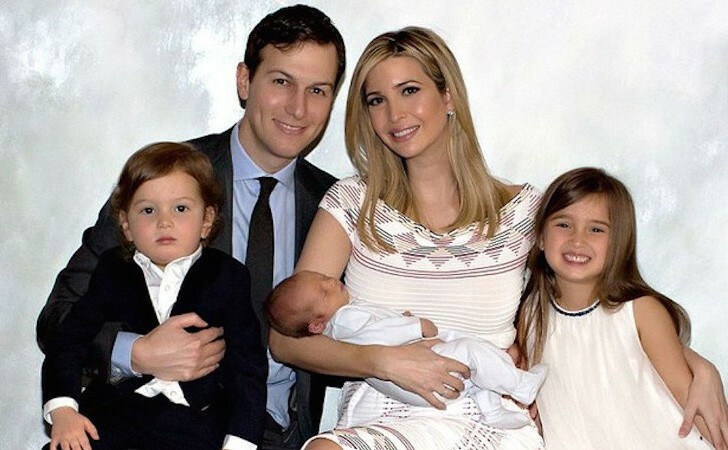 Jared Kushner is also benefiting of the White House inside access to furnish Israel's Mossad with intimate intelligence and influence Trump's decisions, especially about Israel and Syria.